The United Kingdom’s points-based visa system, commonly known as PBS, is the main UK immigration route for migrants from outside the European Economic Area (EEA) to come to the UK to work, study, invest or train. The system provides 5 Tiers under which applicants can apply to come to the UK. This route allows those above age of 16 that wish to invest funds in a new or existing business to apply to come or remain in the UK for this purpose. Applicants would normally need to show that they have £50000 or £200000 investment funds held in one or more regulated financial institutions and free to spend (‘disposable’) on business in the UK. Applicants must also meet the English language requirement, be able to support themselves during their stay in the UK. A total of 95 points must be scored to qualify under this category. Applicants would undergo a 2-stage application process to get this visa. Applicants must first apply to the Home Office for endorsement as leaders or emerging leaders in their particular field. Once endorsed, they can apply for the visa. There are limited places available under this visa category, with 500 places released on both 6 April and 1 October each year according to the Home Office. This route is closed and applicants can no longer apply for or extend Tier 1 (General) visas. However, family members can still apply to join their sponsors in the UK. The applicants who are already in the UK may be able to apply to settle once they have been in the UK for 5 years until 6 April 2018. This route allows those that have graduated from a UK University and have been officially endorsed as having a genuine and credible business idea, are from outside the European Economic Area (EEA) and Switzerland to apply to invest in the UK. Applicants will also require to be endorsed by either the Department for International Trade (DIT) as part of the elite global graduate entrepreneur programme (Sirius) or by a UK higher education institution (HEI) if it’s an authorized endorsing body. Our solicitors will be available to provide detailed advice as well as assist in processing an application for endorsement for clients. This route allows those that wish to invest £2,000,000 or more in the UK and are from outside the European Economic Area (EEA) and Switzerland. The applicants must have access to at least £2,000,000 in investment funds to apply. There are further benefits to this route as it allows fast tracked settlement process. We also assist clients applying under the SUPER PREMIUM scheme by arranging the process from start to finish. This route allows applicants from outside the European Economic Area (EEA) and Switzerland who have been offered a skilled job in the UK to apply to come to the UK. Applicants must be sponsored by an employer who is a licensed sponsor who in turn will issue the applicant a certificate of sponsorship before the applicant can apply to come or remain in the UK to work. The applicants cannot work for any other employer other than the sponsor organisation. This route allows applicants from outside the European Economic Area (EEA) and Switzerland who have been offered a role in a UK branch of the organisation. Applicants need to be sponsored and have a certificate of sponsorship from a licensed sponsor before they can apply to come to the UK to work. Applicants can only work for the sponsor organisation. This visa is for transfers of more than 12 months into a role that can’t be filled by a new UK recruit. The applicants need to have worked for the employer overseas for at least 12 months. This visa is for transfers up to and including 12 months into a role that can’t be filled by a new UK recruit. The applicants need to have worked for the employer overseas for at least 12 months. This visa is for transfers into graduate trainee programmes for specialist roles. The applicants need to be recent graduates with at least 3 months’ experience with their employer overseas. This visa is for transfers that allow people to gain skills and knowledge needed to perform their role overseas, or to pass on their skills to UK colleagues. The applicants don’t need to have been with your employer overseas for a set period of time. Our solicitors are available to provide detailed advice on how to prepare and apply under this category. Applicants need to be sponsored by a UK licensed organisation which will issue them with a certificate of sponsorship before applying to come to the UK to work. Once in the UK the applicants can only work for the sponsor organisation. This visa allows elite sportsperson or qualified coach from outside the European Economic Area (EEA) and Switzerland recognized by their sport’s governing body as internationally established at the highest level to apply to remain or enter the UK. Such sport’s governing body must be endorsing the application. The employment must be aimed at developing the sport in the UK at the highest level. This Visa allows students from outside the European Economic Area (EEA) or Switzerland to apply for visa to study in the UK if they are 16 years or over. Applicants must have been offered a place on a course and can speak, read, write and understand English. They must also have enough money to support themselves and pay for the course – the amount will vary depending on applicant’s circumstances. Our solicitors assist licensed sponsors to apply for sponsorship licenses for the applicants and thereafter process the appropriate visa to the UK. This visa allows applicants aged between 4 and 17 from a country that’s not in the European Economic Area (EEA) or Switzerland who wish to come to the UK to study at an independent school to apply for visa to remain or enter the UK. Applicants must have a place on a course and have the consent of their parent or guardian. The applicants must also have enough money to cover the course fees and living costs. This allows a Parent of Tier 4 child visa from outside the European Economic Area (EEA) and Switzerland who is attending an independent fee-paying day school in the UK to apply to remain or enter the UK in order to be with the child studying. 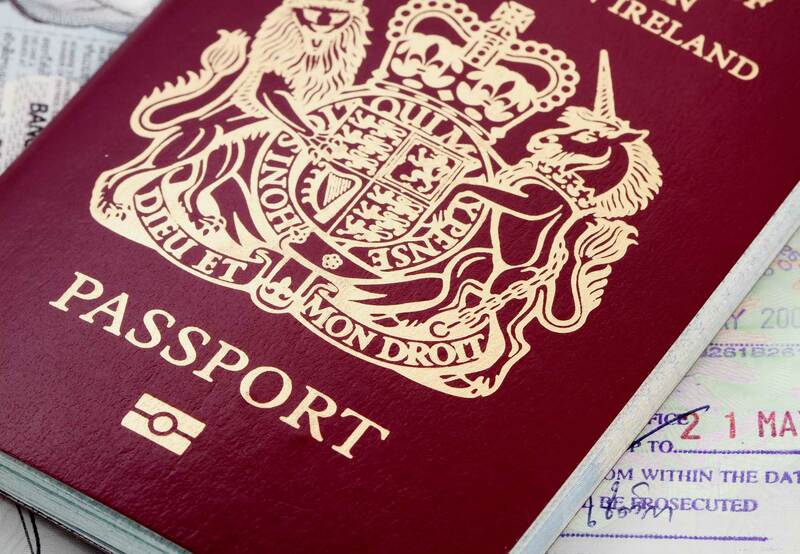 This visa allows applicants who wish to live and work in the UK for up to 2 years and are aged between 18 and 30, have £1,890 in savings and have certain types of British Nationality (British overseas citizen, British overseas territories citizen and British national (overseas) or are from certain countries (Australia, Canada, Japan, Monaco, New Zealand, Hong Kong, Republic of Korea and Taiwan) to apply for visa to work in the UK for a period of 2 years. Domestic workers currently include cleaners, chauffeurs, cooks, those providing personal care for the employer and their family and nannies. This allows Turkish nationals who wish to start a new business in the UK or to come to the UK to help run an established business to apply for visa. There are further eligibility requirements that must be met. This allows Turkish nationals to apply for permission to stay in the UK as a Turkish Worker if they have legally worked in the UK for at least 1 year as the spouse of a British or settled person without any restrictions on working in the UK, a holder of a work permit allowing them to work in the UK or as a student allowed to work 20 hours a week during term time and full time during vacation periods. This visa allows Commonwealth citizens applying from outside the UK and able to prove that one of the grandparents was born in the UK. Applicants must be able and planning to work in the UK. You might need a sponsor license to employ someone from outside the European Economic Area (EEA) and Switzerland to work for you in the UK. Our legal team will provide you with step by step advice on how to apply to become a sponsor and managing the sponsorship management system. Our team will be available throughout the duration of the license for any advice you may require. If you are a company and wish to employ a worker from outside the EEA, we are renown for our professional service providing tailored advice to clients. There are conditions attached to Croatian nationals who wish to work in the UK. Applicants may need to apply for a registration certificate to be allowed to work in the UK. However, the type of registration certificate required will depend on whether the applicant needs permission to work in the UK or will be doing an activity exempted from seeking permission to work. Croatian nationals must be working, self-employed, studying, or able to support themselves to stay in the UK longer than 3 months. If the applicant wishes to work for someone else as an employee, they need to apply for a purple registration certificate to be able to work. A licensed UK employer must sponsor the applicant first. Applicants outside the UK can apply before travelling to the UK. Applicants can also opt to apply for a blue registration certificate if they don’t need a purple certificate or any other documents to work in the UK. Croatian nationals who have a degree from a UK institution and residing in the UK do not need to be sponsored or have a purple registration certificate other than applying for a blue registration certificate to prove their right to work in the UK. Applicants holding this Visa do not need to apply for a purple registration certificate. But can apply for the blue registration certificate to prove right to work in the UK. Croatian nationals who are self-employed and residing in the UK don’t need permission to work. However, applicants can still apply for a yellow registration certificate to prove right to work in the UK. Croatian nationals studying in the UK need to apply for a yellow registration certificate if they want to work while studying. Croatian nationals’ family members can also work in the UK if they’re eligible. This route applies to family members of EEA nationals who wish to remain in the UK as a family. To apply under this category, applicants must be from outside the European Economic Area (EEA) and are the family member, or extended family member, of an EEA national who is a permanent resident or ‘qualified person’. An EEA qualified person is someone who is in the UK working for an employer, self-employed, self-sufficient, studying or looking for work. A family member of an EEA national can apply as direct family member if related to the EEA national as their spouse or civil partner, their (or their spouse or civil partner’s) child or grandchild who is under 21 or a dependant, their (or their spouse or civil partner’s) dependent parent or grandparent. Family members of EEA nationals who are students can only qualify as their family member if they are their spouse or civil partner, their (or their spouse or civil partner’s) dependent child. Otherwise other relatives of students must qualify as extended family members. EEA national’s Extended family members can also if they are the unmarried partner of the EEA national and are in a lasting relationship with them that’s similar to a marriage or civil partnership or are relatives of the EEA national (or of their spouse or civil partner) but do not qualify as their family member. These may include; brothers or sisters, aunts or uncles, nephews or nieces and cousins. Grandchildren, parents and grandparents can also be included under special circumstances. EEA nationals family members can also apply under the Retained rights of residence if they used to have a family member, or extended family member, who was a permanent resident or qualified person and circumstances have changed such as their marriage or civil partnership to an EEA citizen has ended (with a divorce, annulment or dissolution), the EEA family member has died and the Non EEA national lived in the UK as their family member for at least one year before their death or the Non EEA national is in education and they are the child of an EEA citizen (or their current or former spouse or civil partner) who has left the UK or died. A Non EEA national who has a child with retained right of residence and has custody of them can also apply under retained rights. Non EEA nationals can also apply for a residence card as a ‘Surinder Singh’ case. The Non EEA national must be a citizen of a country outside the EEA and the family member of a British citizen, have lived with them in another EEA country where they worked or were self-employed before returning to the UK, be able to show that the UK sponsor based their ‘Centre of life’ in the EEA country in which they both were resident before returning to the UK. EEA nationals can apply for EEA Residence Certificates to prove rights to live and work in the UK. They can apply as ‘qualified persons’. An EEA national is a qualified person if they are citizens of a European Economic Area (EEA) country or Switzerland and they are engaged in one of the following activities, working, studying, self-employed, self-sufficient or looking for work. EEA nationals who are ‘family members’ of a qualified person can also apply for an EEA Residence Certificate if they are dependent on the qualified person as their dependant. EEA nationals and their family members who are either Non-EEA nationals or EEA nationals can apply for Permanent residence after 5 years or residence in the UK. The Permanent Residence Certificate and Card can help to prove right to work or reside in the UK and most importantly, when applying for British citizenship. It is generally the case that EEA nationals automatically have permanent residence status if they have lived in the UK for 5 years as ‘qualified persons’. EEA nationals can apply for a permanent residence document if they have to stop working permanently due to an accident or illness, and their husband, wife or civil partner is a British citizen. Also, if involved in a work-related accident or illness that means they are entitled to a UK pension. EEA nationals who have lived continuously in the UK for 2 years can apply for permanent residence if they have to stop working or being self-employed because of an accident or illness due to permanent incapacity. EEA nationals, who have lived continuously in the UK for 3 years, can apply for permanent residence when they reach State Pension age. To qualify, one must have been self-employed or worked continuously in the UK for 1 year beforehand. If retiring early, one must have worked continuously in the UK for 1 year beforehand. Further, where the EEA national has started work or self-employment in another EEA country or Switzerland, they must usually return to their UK home once a week, and have worked or been self-employed in the UK for 3 years continuously beforehand. Non EEA nationals can apply for derivative residence card if they are the primary carer (Parents, Grandparents, Spouses, Civil Partners, Children, Grandchildren) of someone who has the right to live in the UK, the primary carer’s child or the child of a former European Economic Area (EEA) worker if they are at school, college or university in the UK and is under 18 years old. Non EEA nationals can apply to come and join their EEA nationals qualified persons already in the UK or will be travelling with them within 6 months of the date of the application, as family members or extended family members. If the EEA national is already in the UK, they must have been in the UK for more than 3 months either as ‘qualified persons’ (working, looking for work, self-employed, studying or self-sufficient) or have a permanent right of residence. In order to apply for am EEA Family Permit, one has to be the EEA citizen’s spouse or civil partner, or related to them (or their spouse or civil partner) as their child or grandchild under 21 years old, or dependent child or grandchild of any age, dependent parent or grandparent or adopted under the order that is recognized in the UK law. Non EEA nationals can also apply as an ‘extended’ family member’, eg brother, sister, aunt, uncle, cousin, nephew or niece. These must show that they are dependent on the EEA citizen or are a member of their household, or have a serious health condition and rely on them to care for you. Further, Non EEA nationals can apply as unmarried partner if you can show that you’re in a lasting relationship with the EEA national. Non EEA nationals can also apply as the family member of an EEA national student if they are either the student’s spouse or civil partner, dependent child, or their spouse or civil partner’s dependent child. 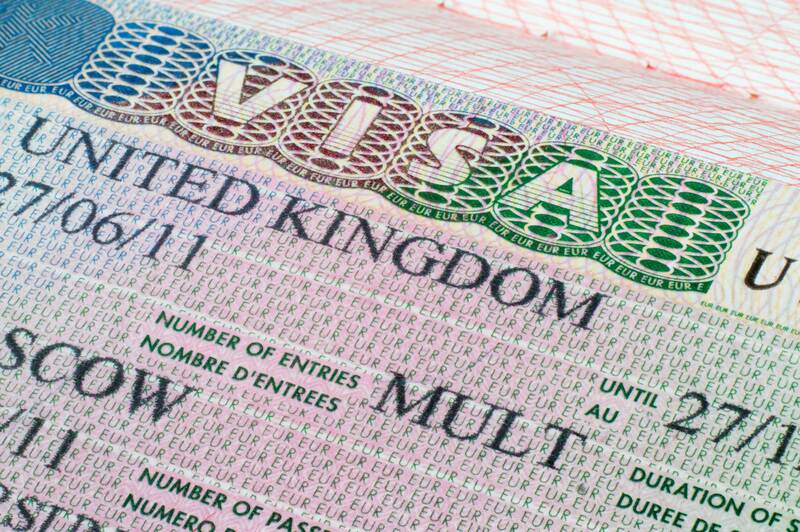 If a visit Visa is granted and you enter the UK, your visa is solely limited to the purpose of your visit. You cannot undertake a number of activities while in the UK otherwise you will be in breach of the Immigration Rules. While in the UK, you can usually stay for up to 6 months. You can extend your visit in the UK in some instances. Kindly contact us for further advice. If your visit in the UK is for academic purpose or to receive private medical treatment for longer than 6 months, you are required to apply for a biometric residence permit. You can apply for a long term visit visa if you need to visit the UK regularly. This is usually for 2, 5 or 10 years periods. However, you can only stay for a maximum of 6 months on each visit. Those that wish to come to the UK permanently to join either British family member, a family member with Indefinite Leave to Remain in the UK or have been granted asylum or humanitarian protection in the UK, can apply for a ‘Family of a settled person visa’ in a country they reside. These can be for purposes of, joining a partner, joining a parent, joining a child, joining a relative, adopted children, engaged to a settled person, as carer or those to be cared for. In order to apply for this visa, one must meet certain requirements such as; they are 18 or over, unless you’re applying as a child, prove that the relationship to the family member is genuine and recognized in the UK, intend to continue living with the family member or partner in the UK, there is adequate place to live in the UK and have a good knowledge of English if 18 or over – unless applying as an adult dependent relative unless applying for Family Re-Union with a person granted refugee status or an EEA national. If you fear for your life in your country of origin because you have been persecuted by the authorities or its agents and have entered the UK, you can apply for asylum so that you are recognised as a refugee. The nature of the persecution you suffered must be because of, race, religion, nationality, political opinion or because of the social, cultural, religious or political situation in your country such as your gender, gender identity or sexual orientation. You must also show that the authorities in your own country have failed to protect you. Your family members such as your partner and your children under 18 can be included in your application as your dependants. You will be subjected to an Interview Process before a decision is made whether to grant you asylum or to refuse your asylum application. We can attend the interview with you so that your mind is at peace. Our experienced team will assist you with tailored advice and go through the procedures with you from the start to the end of your case. The asylum process is a complex one and legal advice is usually required before claiming asylum as well as during the processing of the claim. If your application for Leave to Remain in the UK or entry clearance outside the UK has been refused you may be able to appeal to the First-tier Tribunal (Immigration and Asylum Chamber). The Home Office may have refused your asylum application (also known as ‘asylum claim’ or ‘humanitarian protection’), refused your human rights claim, made a decision under the European Economic Area (EEA) Regulations, decided to revoke your protection status, decided to take away your British citizenship or decided to deport you from the UK. Where a right of appeal has not been granted, you may be able to ask the Home Office for an administrative review. Our team of solicitors can also assist you to apply for JUDICIAL REVIEW in the High Court where appropriate. Those who are settled in the UK can apply for British citizenship by Naturalisation or Registration. Those who are 18 or over can apply for Naturalisation as a British Citizen while those below age of 18 can apply for Registration as British Citizenship. There are mandatory requirements for Naturalisation that must be met such as good character, you will continue to live in the UK, you have passed the knowledge of English and life in the UK requirements and met the residency requirement ( You must have lived in the UK for at least the 5 years before the date of your application, spent no more than 450 days outside the UK during those 5 years, spent no more than 90 days outside the UK in the last 12 months, had settlement (‘indefinite leave to remain’) in the UK for the last 12 months if you’re from outside the European Economic Area (EEA), had permanent residence status for the last 12 months if you’re a citizen of an EEA country – you need to show a hard copy of the permanent residence document to apply and have not broken any immigration laws while in the UK. Citizenship through Naturalisation for adults and Registration for children is a complex area and certainly requires legal advice. Our solicitors have an extensive knowledge of the area and will be on hand to provide tailored professional advice. If you have been detained for an Immigration Offence and placed in a detention center, our team of Solicitors provides emergency legal advice by providing Detention Centre representation. Our team of solicitors will assist you to make Temporary Admission Applications, Chief Immigration Bail Applications and Asylum and Immigration Tribunal Bail Applications. We regard liberty to be one of the most important rights to a person as they will be able to manage their affairs well when free. Any foreign national convicted of criminal offence or whose presence in the UK may cause harm to the public can be deported from the UK. The process of deporting a foreign national is complex and may start from arrest, prosecution, conviction, sentencing and deportation recommended by the court or by the Home Office, court appeals either in country or out of country appeal to the actual flight to the country of origin. Due to the fact that those awaiting deportation are vulnerable, legal assistance to manage their case is vital as the consequence of bad presentation of a deportation case could lead to a life changing departure from the UK. If you are facing deportation from the UK, there is no substitute to legal representation. Our team of solicitors is very experienced in this area. We also work with very alert and tested Barristers who have challenged deportation and removal appeals from the Immigration andAsylum Chambers, Upper Tribunals all the way to the High Court.